A client in the medical device sterilization industry came to Basic Systems, USA for the installation of a material handling control system. A robust material handling flow management system is a requirement in this industry because detailed product tracking and process management ensures that correct sterilization treatment within device-specific limits have been applied. Basic Systems built this system per the customer's specifications. This material flow management system was designed to provide product tracking and process quality using PLC-based automation. We built the system using equipment which included a GuardLogix PLC, RSView on a Dell workstation, an AB PanelView+ 1000, and associated sensors and switches. 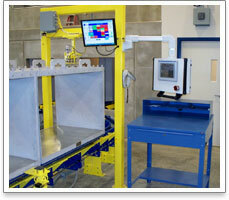 The control system monitors the process that begins with the operator loading the process data. 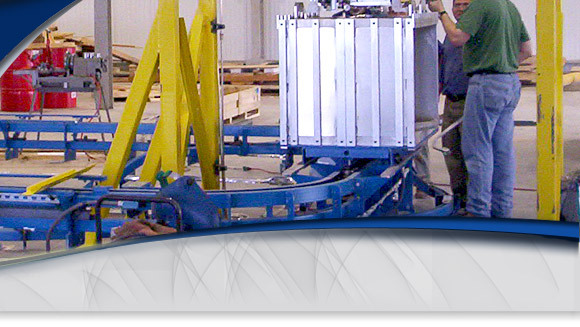 Products are then moved by a power and free conveyor to allow efficient staging through the sterilization chamber. The system records the treatment data for quality control and stores the data in an SQL database. Featuring integrated safety, servo, and machine control devices, the system is capable of handling 20 carriers per hour. Offering design of new projects or upgrades to existing systems, we have the capabilities to work across a variety of industries. To learn more about this material handling control installation project, please see the table below or contact us today.